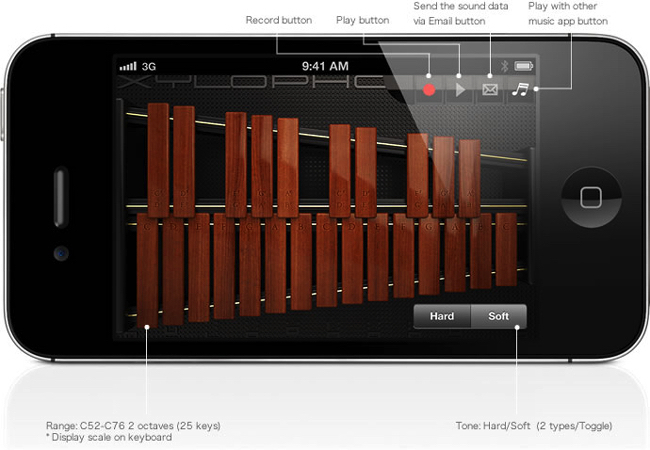 XylophoneSS is a xylophone application. 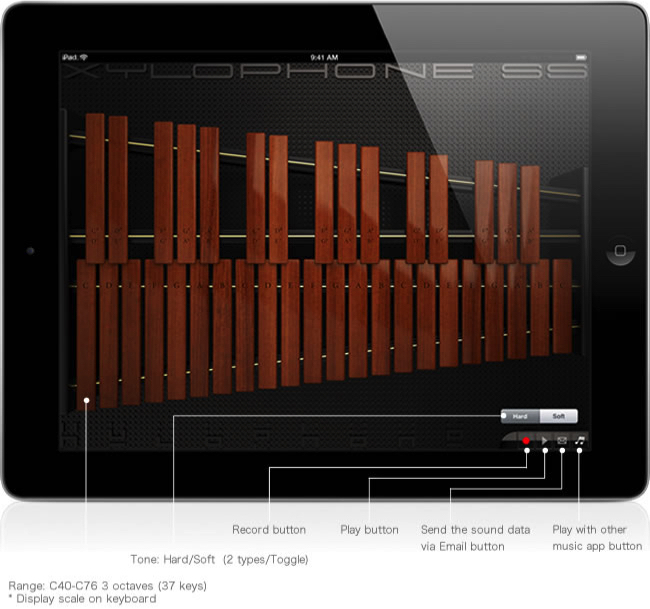 This application displays 3 octaves on the screen, and you don't need to change octaves to play them. You can also switch between hard tone and soft tone by tapping the button at the bottom right of the screen.